Where was I? Oh, right: urban-electro-dance-pop. I use this term to refer to dance-pop produced by people who traditionally work on hip-hop; examples include Danja and Britney, Darkchild and Gaga, or Pharrell and Madonna. I differentiate this type of music from dance-pop because dance-pop, to me, is lighter, happier, and has far less booty-bumping bass. I love hop-hop and pop music, but when the two merge I’m in heaven. The first reason why I love Kelly Rowland is that she has begun to create this type of music. You may wonder if we really do need another mainstream, radio-played female singer making urban-electro-dance-pop or dance pop in general. The answer might be no, but I want Kelly Rowland to stay. Amongst the females producing dance-pop I’d place her vocals at the top, above Britney and Gaga and Madonna and Kylie and Robyn* and Ke$ha. The second reason why I love Kelly is that she is still in touch with her R&amp;B/soul roots, which brings us to the point of this post. I am moved, quite possibly too moved, by a good power ballad. Celine Dion is the air that I breathe. Leona Lewis speaks to me. But neither create good dance pop. And conversely, how many female pop singers are good balladeers? Britney and Madonna don’t have the voice, and while Gaga may, she nonetheless sounds contrived in "Speechless." As far as I’m concerned only Christina can pull off both, but that discussion for another time. 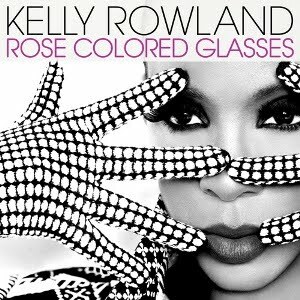 "Rose Colored Glasses" is a song that I immediately fell in love with. It’s a story that I have not heard sung before. Instead of falling in love, the song is about falling out of love, starting with the small things, the things that no one else can see. The disagreements you have in private. Conflicting interests, unrecognized sacrifices. The tone you take when no one is around. A song as beautiful as this deserves an equally beautiful music video. I’ve found that exceptional music videos have caused me to begin to enjoy songs I previously didn’t like. Certainly Universal Motown Records knows this, right? It would be in their best interest to create a stunning piece of video art that would bring a face to a voice that many know but few recognize, wouldn’t it? Unfortunately this wasn’t the case, and the video I’d been waiting several months for turned out to be a dud. It’s a series of shots of Kelly singing portions of the song in different outfits, in front of different backdrops. One of the shots has a blue tint, and Kelly is sprayed with confetti in another. Several generic clips are shown throughout the video of Kelly arguing with her lover. It’s uninspired. But more importantly, I feel as though the video would trivialize the song’s meaning to a listener who hadn’t previously heard the song by itself. From an artist’s perspective I can’t think of anything worse.